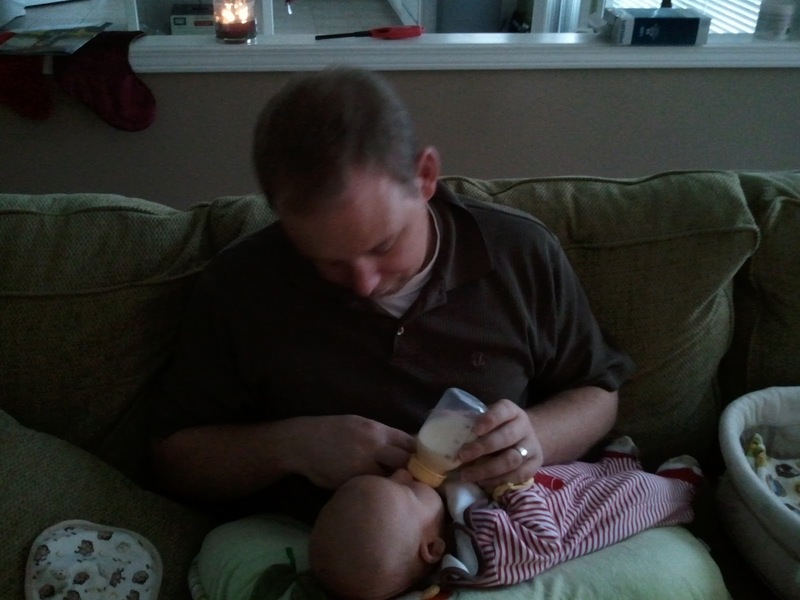 Cayne even used the Boppy yo make it seem like a "normal" feeding. Back at the very beginning of December, Cayne got to give Ethan his first bottle of expressed breastmilk. We wanted to make sure we'd be able to go out without him for more than a couple hours. We weren't sure how the bottle-feeding would go -- our doctor had told us some babies will just take the bottle, but for others, if mom is in the house they absolutely do not want the bottle -- they want the real thing. 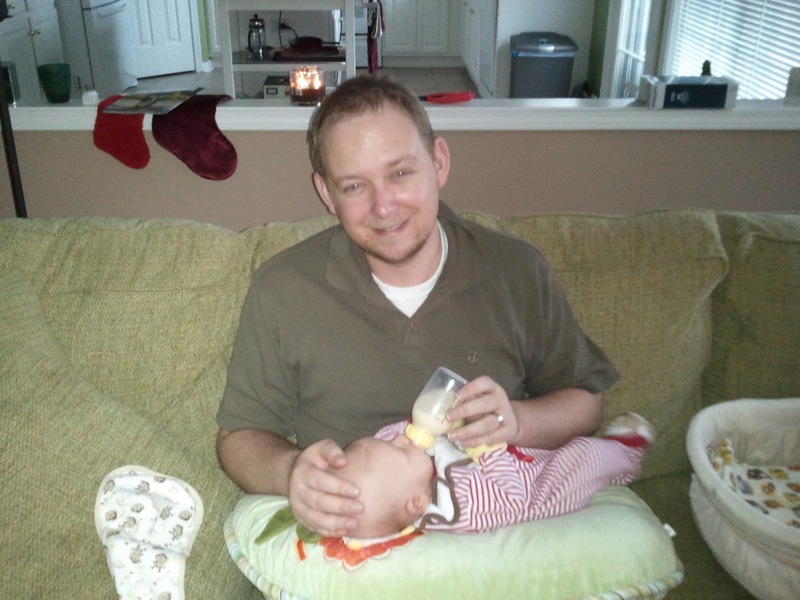 Well, Ethan just latched right onto the bottle and enjoyed being fed by his daddy! Ethan didn't mind that I was there either -- I think that all he cared about was eating some yummy food! 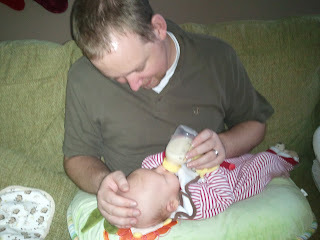 It was sweet to see Cayne getting to feed Ethan (and it made me a little teary-eyed too).